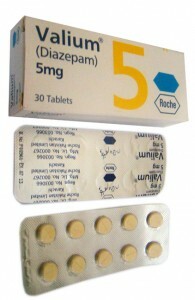 The most common side effects of Valium (diazepam) are minor and may include drowsiness, dizziness, and headaches. These side effects may go away on their own as the body adjusts to the medication. In cases where valium side effects are disruptive, a healthcare professional can help the patient develop a more effective treatment regimen. Serious valium side effects are rare and include changes in behavior, hallucinations and flu-like symptoms. These side effects are typically mild, but if theypersist or become particularly bothersome to you, consult your doctor. The above side effects may indicate a serious complication associated with valium. Do not hesitate in seeking professional medical attention. Valium side effects can be very serious for pregnant or breastfeeding women. In animal studies, valium caused birth defects. Valium (diazepam) belongs to pregnancy category D. This indicates that the medication is considered dangerous for pregnant women. If you are pregnant, breastfeeding or plan to become pregnant, you should consult your doctor about a possible alternative to valium (diazepam). Withdrawal symptoms may also occur if a person becomes addicted to valium. If this happens, the patient should consult a doctor for assistance in quitting the medication and finding an alternative solution for their condition. Valium is an effective treatment for many people, and most patients experience no serious side effects from the medication. If you do experience side effects, the best course of action is always to consult your healthcare provider. Stopping the drug on your own, even to eliminate side effects, can be unpleasant and dangerous. If and when you do decide to stop taking valium, use a gradual withdrawal method to minimize adverse side effects as much as possible.